HUNDREDS of families across Bromsgrove and Rubery will be finding out today which primary school their children will be attending from September. Worcestershire County Council says for the last few years it had consistently overseen over 90 per cent of applicants receive a place at their first choice school, and it was keen for this to continue and improve even further in the future. 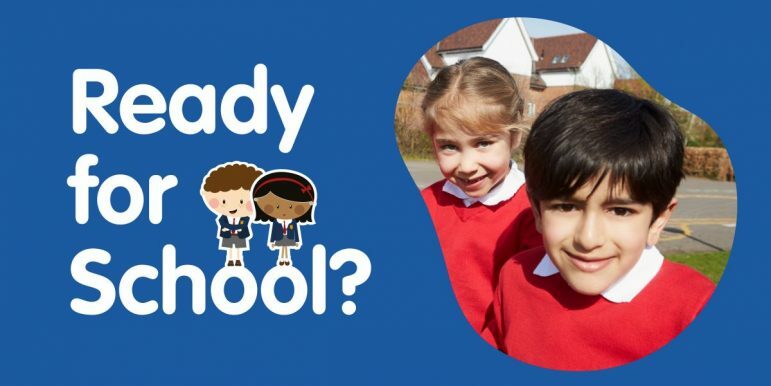 To coincide with National Primary School Offer Day Worcestershire County Council has launched a ‘Ready for School’ campaign with tips and activities to help families get their children ready to start school. The authority says each year, feedback from primary and first schools shows that a lot of reception age children have difficulties starting school as they are not yet able to do things like using the toilet or being able to sit still. This puts added pressure on teachers and schools to help these children catch up with their peers and slows down the early learning process. Catherine Driscoll, Director for Children’s Service at Worcestershire County Council, said: “Starting school is a huge milestone for all families. “Ensuring children are ready to join a class means they can get the most from their experience. “We are hearing about reception age children who have difficulties starting school because of things like not being toilet trained, being unable to sit still and not being able to be separated from a parent. Frances Howie, Director of Public Health added: “This campaign focuses on a range of friendly information, advice and guidance to help families make sure their children have these skills. The aim of the campaign is to help families with a range of information, advice and guidance to help them be aware of what they need to do to get their children ready for school. Visit www.worcestershire.gov.uk/readyforschool for more information. This will be backed up with a social media campaign across Facebook and Instagram, focusing each month on different skills leading up to the start of school in September.